Washington (CNN) – Former Secy. 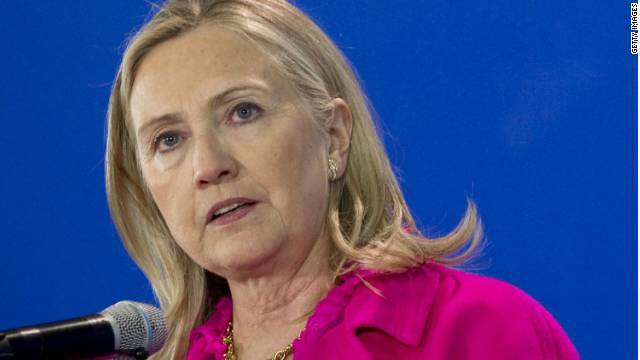 of State Henry Kissinger gave a very public nod Wednesday night to a 2016 Hillary Clinton presidential campaign – saying that secretaries of state have a good track record of moving into the highest office in the land. 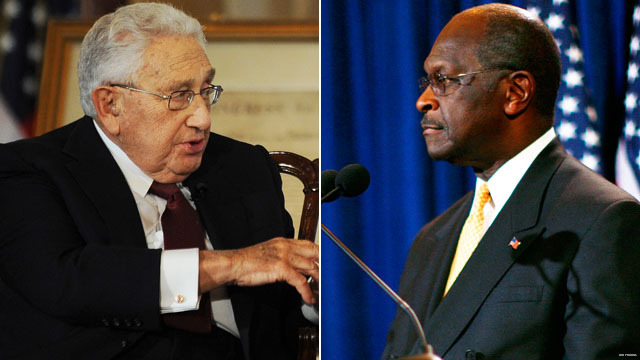 Cain and Kissinger: A match made in heaven? (CNN) – Former Secretary of State Henry Kissinger is among those Herman Cain would like to see in his administration if he wins the White House. Too bad Kissinger declined the proposal. 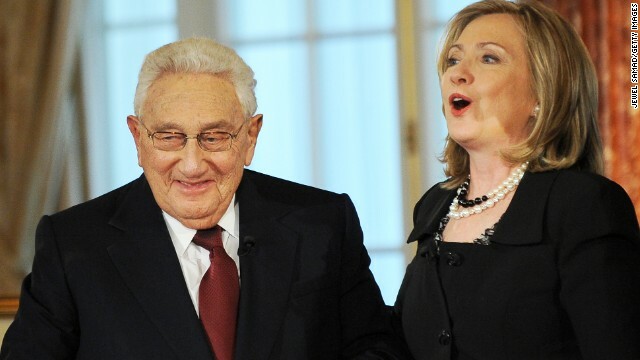 "Dr. Kissinger turned down my offer to be secretary of state," Cain told the Milwaukee Journal Sentinel, with a smile. "He said he's perfectly happy doing what he's doing." Former Secretary of State Henry Kissinger defended McCain's stance on Iranian relations Friday night. WASHINGTON (CNN) - In a response after Friday night's presidential debate, former Secretary of State Henry Kissinger defended Sen. John McCain's attack against Sen. Barack Obama for Obama's willingness to meet with Iranian President Mahmoud Ahmadinejad "without precondition." Immediately following the debate, the McCain campaign released a statement from Kissinger backing the Republican nominee's sentiments on structuring any talks with Iran. "Sen. McCain is right. I would not recommend the next president of the United States engage in talks with Iran at the presidential level," Kissinger said in the statement. "My views on this issue are entirely compatible with the views of my friend Sen. John McCain. We do not agree on everything, but we do agree that any negotiations with Iran must be geared to reality." presidential candidates disagreed over what Kissinger had said. Five former Secretaries of State weighed in Monday. Baker, who has endorsed John McCain’s presidential bid, appeared with former Clinton Secretaries of State Madeleine Albright and Warren Christopher, Henry Kissinger, who served under Nixon and Ford, and former Bush Secretary of State Colin Powell. 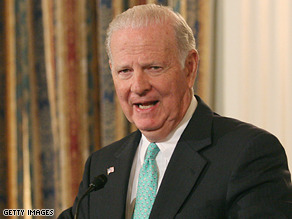 Albright has been an active supporter of Democratic presidential candidate Barack Obama.